Ani-Jam is Proud to Announce Akai SKY as Guests of Honor! 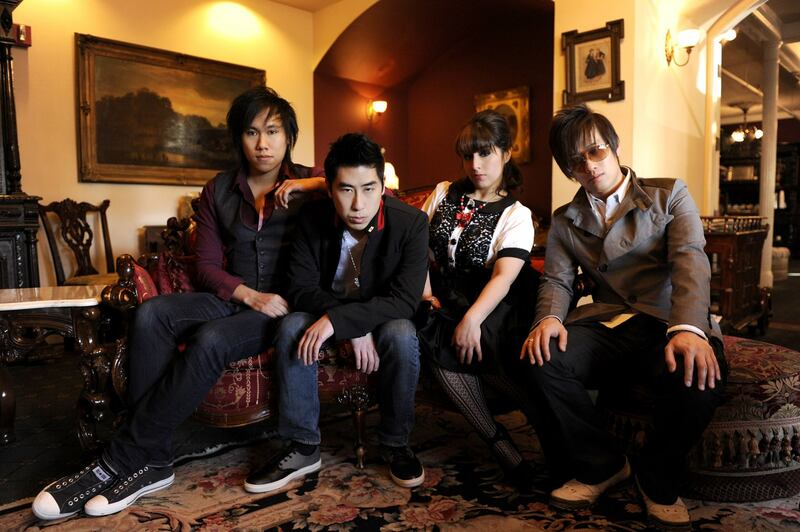 Fresno, CA – March 13, 2014 – Ani-Jam, the Central Valley’s premiere anime convention, is proud to announce the band Akai SKY as Guests of Honor at Ani-Jam 2014 this summer. The two-day event will be held on August 16-17, 2014 at the Valdez Hall (Part of the Fresno Convention Center). What possesses 4 Americans to form a band and write music with Japanese lyrics? Inspired in equal parts by Japanese pop melody as well as heavy alternative American rock, U.S.-based band akai SKY takes a straight-forward, DIY approach to modern rock music, marrying Japanese and English lyrics alike. Fusing the best of both worlds, akai SKY crosses the great divide between language and music in America, cementing their status as the quintessential American J-Rock band. Formed in 2005 by guitarist Hayashi and bassist Umi, akai SKY completed the line up with vocalist Ryuusei and drummer Jinra in 2008. The band has electrified audiences since at venues celebrating Asian and American culture and music throughout California and across the country with their non-stop energetic and visual performances. With 60+ shows under their belts, akai SKY strives to share their distinctive sound with the international music scene. akai SKY released their first four-track EP album, "Tokyo Beat Riot", in May 2010 and in 2012, contributed a song to the 20th anniversary tribute album of the internationally acclaimed J-Rock band L'Arc~en~Ciel. The band released their follow-up sophomore EP, "Heart, Attack! ", in March 2013.